In May 1952, the 20th Philippine Battalion Combat Team, under the command of Colonel Salvador Abcede, engaged several combat actions against the Chinese forces at the town of Karhwagol, west of Chorwon and was already involved in major battles and assaults against the Chinese forces. There were numerous closely fought battles at the Hills Eerie, as well as on Hills 18, 200, and 19, Yoke, Uncle, Old Baldy, all in the T-Bone Hill but later the 20th were committed at the Pork Chop Hill and in Alligator Jaws. On the other hand, Hill Eerie was a military outpost that had changed hands many times and was a heavily fortified Chinese position with a commanding view of the plains below. A series of raids were launched by the Filipinos, from May 18, led by Lieutenant Rodolfo Maestro killing 28 CCF and by the next day, killing 23 before disengaging with the enemy while tanks and artillery continue the bombardments against the outpost. On May 21, 1952, Colonel Abcede ordered Major Felizardo Tanabe, the battalion's operation officer, to prepare the final assault of the Chinese position after several attempts to captured the outpost. In turn, Tanabe sent the 44-man 2nd reconnaissance platoon to sabotage the outpost. Ramos divided the assault team into four groups of snipers, riflemen, scouts and forward observers, with a radio operator, a messenger and a medic. The platoon was reinforced by some engineer demolition specialists and an artillery observer team. They left at 04:07. Then, the United States Air Force sent seven F-86 Sabre jet fighters to pound the enemy positions with napalm bombs with ground support from artillery fire. After the bombardments, Ramos' men seized the front part of the trench after discovering a hole in the blasted stack of barbed wire. Close-quarter fighting raged as the retreating enemy fought back but the advancing Filipinos were gaining the upper hand. The scout team, led by Corporal Jose Palis, went into action at the right of the hill and was later joined by Lieutenant Ramos. Meanwhile, the rifle team, led by Sergeant Cipriano Drapeza, worked its way at the left side of the hill while the sniper team, led by Second Lieutenant Armando Dizon, held the enemy's support from the nearby Hill 191. By 07:28, the Filipinos demolished the Chinese bunkers and withdrew from the top of the hill while friendly tanks resumed bombardment of Hill Eerie. The assault lasted for two hours, and Ramos' men suffered one injury while the Chinese had 11 dead, 10 wounded and the supporting artillery, tanks and air strikes could not be determined. The battle was the final assault of Hill Eerie by the United Nations forces. On June 16, 1952, the 19th Philippine Battalion Combat Team, under the command of Colonel Ramon Z. Aquirre, relieved the American battalion in the T-Bone ridge sector. By June 18, the Chinese forces sought to recapture the area and launched an intensive artillery and mortar bombardments. The Filipinos held their ground and were able to repulse Chinese attack. On June 20, the Chinese forces launched another attack towards Hill Eerie and the rest of the T-Bone ridge area. At dawn, Chinese penetrated; that lead to hand-to-hand fighting but the Filipino troops were able to win the duel. By the morning, artillery battle continue until the allied forces successfully defended Hills Eerie and 191. The result of the battle were estimated 500 enemy casualties while the Filipinos had 24. The Filipino battalion was later relieved by the 2nd Infantry Division (United States) on July 18, 1952. A more complete account of what happened throughout the Korean War can be found here. The part about the Battle of Yultong is particularly stirring. Here's an excerpt. The "10th" here refers to the 10th Battalion Combat Team (BCT) of the Philippine Army. The Chinese opened their attack on the UNC’s western front with a gigantic artillery barrage lasting over four hours in some of the sectors attacked. The 10th was hit five minutes past midnight on 23 April, Sunday. Baker Company defending the right was the first to be attacked. After hammering the rest of the battalion’s positions with artillery, mortar and automatic weapons fire the Chinese charged the Filipino line to the noise of bugles, whistles and gongs. They ran into a wall of fire thrown up by the 10th, many Chinese falling to the defenders. Although heavily outnumbered, the men of Able, Tank, Recon and Baker Companies in the front line resisted furiously backed by their light tanks, howitzers and mortars. The battalion’s front line remained unbroken. Have any of the re-enactors tried dramatizing Filipino soldiers when they were already fighting under the Philippine flag . . . and not as colonial troops under the US? IMHO, the Korean War is worth looking into. Eventually Korean War era portrayals will happen. There are many reasons why there's more emphasis on the WW2 side for now. 1. The fathers/uncles of some of the members of this forum are/were actual Bataan veterans. 2. There's more readily available source material for WW2 research. 3. 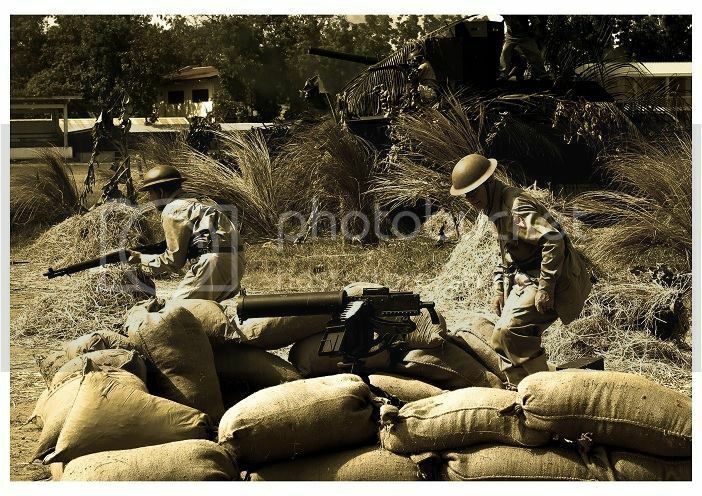 There are many WW2 commemorative and reenactment events that we can piggy back on and participate in. 4. We're trying to honor the WW2 vets now because they won't be around for very long. 5. Individual personal fascination in WW2 history - I'm particularly interested in Bataan and the Philippine Scouts. Nothing to do with them being colonial troops. That fact is just incidental. Some of the guys here are into revolutionary and Fil-Am war era history. You could be the forum's Korean War authority if you want. Just start posting info that we could all learn from. If we get enough postings and info re: Korean War, we could start a new section for it. One of my uncles who was a PMA grad fought in the Korean War and had a bullet lodged in the back of his skull all his life. Harmless but too risky to remove. Thanks you for the suggestion Adroth. Yes the 10th BCT would be a great and interesting unit to honor and represent. as it is represented Philippine republic, BUT it was using US GI uniforms and gear. I guess it is only the insignia's that make it different as far as I know unless there are specific known things in their uniforms and gear that is truly Philippine concept. If anybody has more info on the 10 BCT uniforms and equipment that is truly Pinoy concept , please help out. 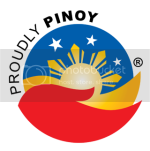 We have been representing the Commonwealth Army of the Philippines under the Philippine Flag too! Specially the 21st "Lighting" Division who reinforce the over run position of the 57th Philippine Scouts on the Abucay line. This is the most Filipino in terms of uniform style design and helmets issued. All based on indigenious products proudly "made in the Philippine". The difficulty with reenacting is that it is not cheap to gather the gear and uniforms. As is it right now we have also suggestion to represent the 1st and 2nd Filipino regts. that came ashore with MacArthur in Leyte. Then again these guys all were issued late war US GI uniforms and gear. Their only distinguish items were the bolo and insignis's and being short brown brothers . Thank you for that great idea and will be definetly keeping that as another future project. My friend, Lt. Jack Gamos (Retired PC) could only remember too well the cold korean winter and the layers of clothings they had to wear because they were not issued winter clothings when they arrived in Korea. They always carry their green blankets with them even in the thick of battle. He carried with him his trusted M1 garand, his bayonet and a shovel that he used once in hand to hand fighting and never parted with it during his stay there. He ended his korean war in a U.S. Hospital in Japan for 3rd degree burns that covered almost 60 percent of his body. He retired from the service after 33 years. I wish i could interview him some more before his memory dims. What caused his 60% burns? Yes please tell us more about him if you find out more of his stories. Photographs of the Philippine portion of a Korean War museum, taken by a Fil-Am currently stationed in Korea. Thanks for introducing us this new and very intersting timawa defense forum adroth. I always wondered what the Philippine monument in Korea looked like. It was quite a coincidence (I was working on the following google maps and identifying Korean Landmarks, when I read this post). My Father was the 2nd Platoon Sgt of Able Company, 179th Regt Combat Team, of the 45th Infantry Division. The Philippine Unit relieved them off of the line and the next day attacked and took Eerie at the bottom of the T-Bone Hill range. Dad speaks HIGHLY of those troops. Keep us updated on your research. Would like to see more posts regarding the Korean War = PEFTOK... Thanks. I'm hoping for more posts about them too.